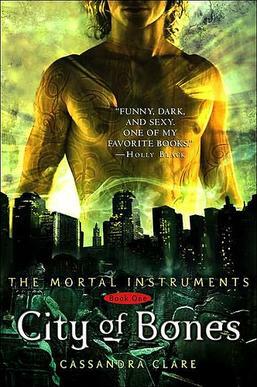 The first book in the series The Mortal Instruments: City of Bones was written by Cassandra Clare and is classified as a fiction novel. The genre in which it presides is fantasy and was published by Simon & Schuster Publication on March 1, 2007. Clary goes to an all-ages nightclub, and there encounters Shadow-hunters and demons, all of whom are invisible to everyone else. This encounter, and her mother’s kidnapping, brings her into a shadow world of age-old warfare between the Shadow-hunters and the demons, from whom they protect humanity. Clary discovers that her mother and her own past are not what she thought, and that she is intimately involved in a power struggle among the Shadow-hunters. Teen urban fantasy is a popular sub-genre, and this first installment of a new series has all the essential elements: a city-dwelling teen discovers an invisible world of magical beings and monsters living hidden among us, and that she has a place and power within that world due to a past that has been kept hidden from her. It’s the variations the author wrings out of the formula, and the attitude, that make the difference. Author Cassandra Clare doesn’t go for the teen sarcasm and black humor (much), nor the hip urban cool, of some of the other members of this small but growing category. Instead, she offers an intriguingly complex world with reams of backstory involving numerous characters, creatures, factions, and relationships. In addition to the various sides among the Shadow-hunters, there are vampires, werewolves, faeries, warlocks, and others, each group with its own politics, powers, and agendas. Then she wraps it all up with exciting action told in vivid, occasionally melodramatic, but always engrossing, prose that sweeps the reader along and makes even the exposition fascinating.